French director of (Shalt Thou) Shew Wonders to the Dead? Dollar Baby Film. SKSM: Could you start with telling me a bit about yourself? Who are you, and what do you do? 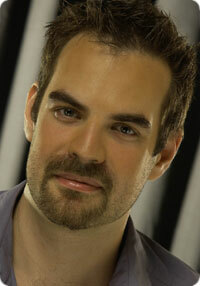 Julien Magnat: My name is Julien Magnat, I am a french director, and am 33 years old. I have spent 6-7 years in England of studying cinema, and theatre. I got there a Bachelor of Arts in theatre and film. That’s where and when I did that short movie. I went back to France in 1996, and I did successfully passed the entrance examination of the FEMIS (the French National & Highly competitive film school). I did several short movies since my 17yo, and in 2001, I directed my first full-length movie, “Bloody Mallory” a movie which has been shown in almost every continent. SKSM: Can you tell me a little more about your early work called “Shald thou shew wonders to the dead?”, based upon NONA? About its production? How much did it cost? How long did it take to shoot it? For further details about it, this is a fictional 20 minutes long movie. The story is a mix of the Stephen King’s Nona, and Edgar Allan Poe’s Annabel Lee (which can be read here) Annabel Lee was one of his most famous poems. My roles in this movie were as I said director, screenwriter, editor, visual effects maker… We shot it during several week ends in London, (and for one scene, in the High Gate Cemetary of London). SKSM: Could you explain us the title of this work? Julien Magnat: It is some old english from the holy bible (the old testament). It’s also the title of a song of my favourite singer, Diamanda GALLAS. She did work for some movies, Coppola’s Dracula for instance… And into this movie there is a lot of her music, with her kind authorization. Julien Magnat: Nona has always been my favourite Stephen King’s short storie. It is a wonderful one! A strange and macabre love story. I can’t believe this one haven’t been shot yet… The first idea was to mix the Poe’s poem with the King’s story. But If I do remember well I also considered about shooting another King’s story, which is absolutely great : “the last rung of the ladder.” But right now it seems that it already have been done. SKSM: Did you know at this time (1996) that some other short movies were already done? Did you tried to get in touch with him? I was interviewed in a TV documentary about Stephen King a year ago. They interviewed the (very) few French horror movie directors. In my opinion, Stephen King is a great author, the equivalent of a Hemingway. People often laugh when I say that, but I do really think that when he’ll pass away, he’ll reach a level of celebrity that he’ll never be granted while he’s alive… He writes in an extremely visual way. And there aint a movie without a writing, or a screenplay, isn’t it? SKSM: Was there a funny or special moment when you made the movie, that you would like to tell me about? One of my best friends, Kelly Smith, (he supported me on the shooting of Shalt Thew…), is writing some great stories. He’s recently completed his first 35 mil. short movie and is currently planning a full-length feature. I worked a lot with him, he too is a huge fan of Stephen King. We have spent a lot of nights talking about King… We still collaborate a lot on some projects. For instance, we wrote together my short movie “Chastity Blade”, (starring Lisa Wilcox… available on the Bloody Mallory dvd release) which was nominated for Best Student Short Academy Award in 2001. SKSM: Would you like to make another movie based upon Stephen King’s works? If you could pick – at least – one story to shoot, which one would it be, and why? Julien Magnat: I try not to think about it, because it is so tempting to do so but i know so well that it’s impossible to get the rights to make a movie… Too expensive! This is a tough question, but if i could pick anything i think that… (all his books are awesome…) I’d like to reshoot Nona or ‘the last rung on the ladder’ (i think that they’re two of his best short stories). LT’s theory of Pets (from Blood and Smoke), really really made me laugh! I don’t think that it would make a good movie, but.. who knows? It is funny, emotionally engaging. And in the novels, i love Gerald’s Game! I re-read it recently: there’s some really good stuff in it that could make for a really good feature film. SKSM: Have you planned any upcoming movie? Could you tell us a little more about it? – the first one is “100 visages” (100 faces). I don’t know exactly when this one will happen. It’s a psychological thriller with very strange disturbing eerie stuff, a cross between “Memento” & “The eyes of Laura Mars”. – the second one is really in the tradition of Stephen King… It ain’t a tribute, but there is some references to some of his work Some stuff is related to Rose Madder… It’s really Stephen King-like because he’s been inspiring me a lot over the years as a writer and I feel very close to his writing. It will be claustrophobic, and will feature (if all goes well) Lisa Wilcox (my favourite actress, which already played in Chastity Blade, and Nightmare on Elm Street part 4 and 5).